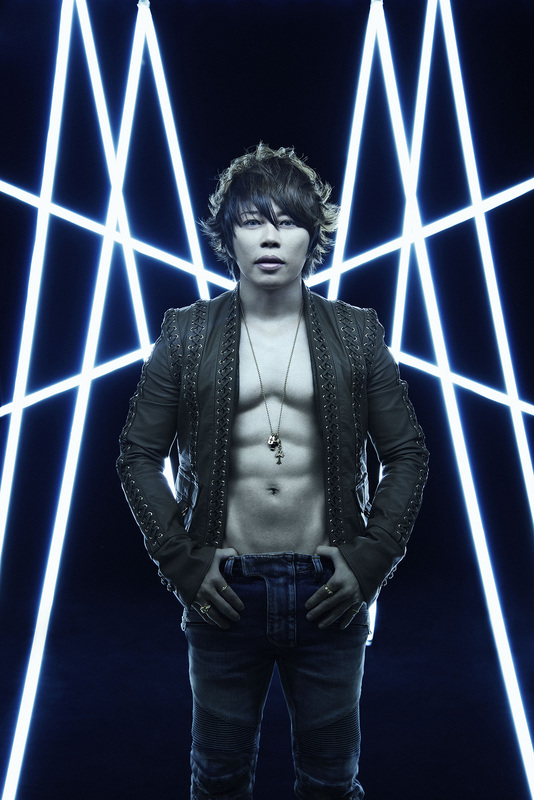 Takanori Nishikawa made his debut as T.M.Revolution (T.M.R.) in May 1996, with the single “Dokusai –monopolize-”. Since then, he has established a reputation as a singer with ear-catching tunes combined with intriguing and irresistible live performances. Many singles have been picked up as themes of major anime and games including Mobile Suit Gundam Seed and Sengoku Basara. Since his debut, T.M.R. has built a global fan base and reputation mainly among anime fans. He has performed at major anime conventions in the US (at Otakon 2003) as well as in Taiwan, Singapore, and Indonesia. These activities led to the release of his albums worldwide. Never one to rest on his laurels, T.M.R. celebrated his 10th anniversary with a new hit single “vestige” (which hit #1 on the Oricon chart), along with a new album covering songs requested by fans, and a complete collections of all prior singles and music videos that also hit #1 on the Oricon charts. An extensive live tour for his 15th anniversary culminated in a DVD/Blu-ray release of the live show; that same year (2012) he returned to his birthplace in Shiga prefecture to organize the Inazuma Rock Festival for the fourth time. He collaborated with Nana Mizuki on two massive hit singles (“Preserved Roses” and “Kakumei Dualism”) in 2013. And in 2016, he celebrated his 20th anniversary with yet another hit single and a greatest hits collection. Throughout, T.M.R. has worked regularly as an actor and voice actor, as a goodwill ambassador for his home prefecture of Shiga, and as host for various television and radio programs. He routinely collaborates with other acts, most recently with the Korean unit AOA on the single “Ai wo Chodai”.